The World’s End Pub – do you see the false window? 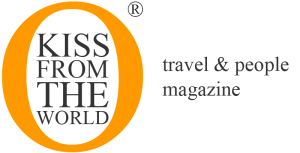 What would it be like to know that there is an entire world just over a wall or gate, but you couldn’t ever reach it? 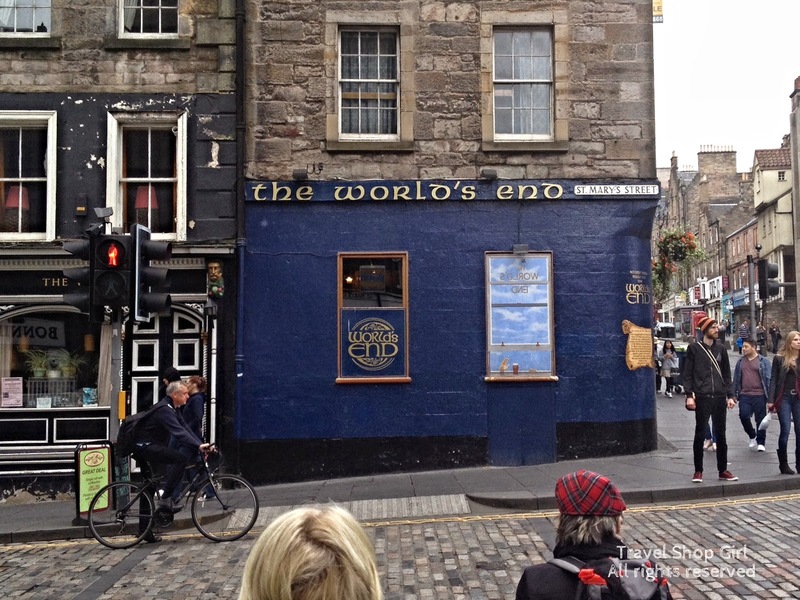 You might never reach it but you definitely want to visit The World’s End or World’s End pub in Edinburgh, Scotland. The citizens of Edinburgh once had to live like that when the Netherbow Port was in place. “Nether” means furthest and “Port” means gateway. Constructed in the 16th century, Netherbow Port was a large gatehouse that sat between High Street and Canongate with a wall (Flodden Wall) that enclosed the city separating Old Town from the Canongate. Originally designed to protect the city from the English attacking, despite the fact that the English didn’t, they kept reinforcing the wall for their protection. For around 250 years, few were houses built outside of the wall. As a result, everything was built upwards in the form of early day skyscrapers with houses as high as 130 feet tall. Grassy areas disappeared and “closes,” a term still used today meaning the space between the newly built tenement areas that replaced the green areas. They then decided to build underground, a story we will get to at a later date. As for Netherbow Port, it was later used as a means to collect money. To enter the city, you had to pay and so if you didn’t have money, you didn’t leave. If you were poor and couldn’t leave, you would have seen this wall and gate as where the world ended. To make matters worse, not only couldn’t you leave, but it gets worse. The heads of the prisoners that were executed at Old Tolbooth were often put out on display on the spikes of the towers at the Gate. What a great life! You can’t leave the area and you’re forced to look at the heads of prisoners. The gate was demolished in 1764, but brass markings in the middle of the street remain to indicate where it once stood along with The World’s End pub. 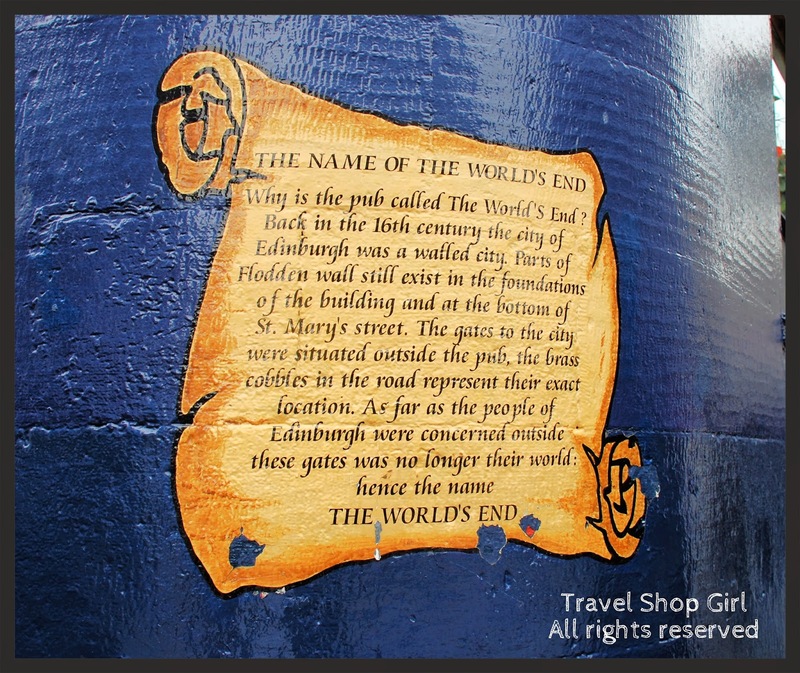 Outside the pub you can see a brief history of The World’s End painted onto the side of the building. 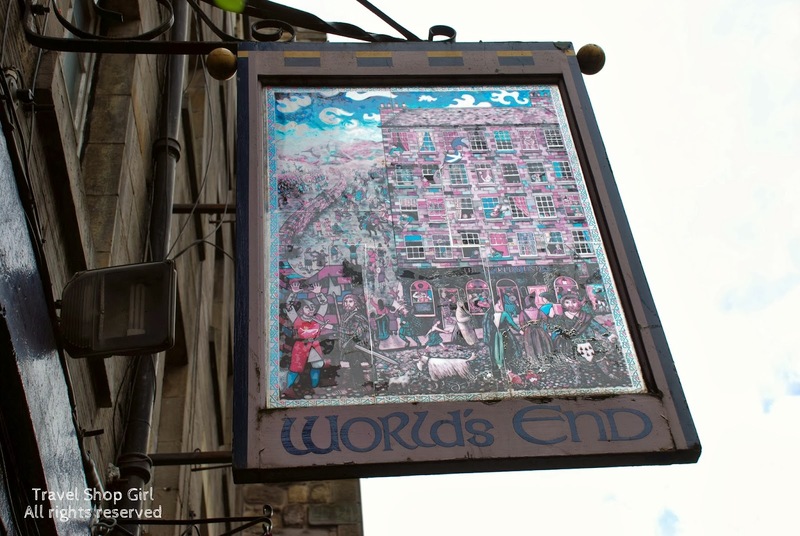 In Edinburgh, the pub is also associated with the murder of two teenage girls in 1977, which was known as The World’s End Murders. The case remained unsolved until twenty years later with the introduction of the use of forensic DNA as well as a show on BBC’s Crimewatch. At that time, a suspect, Angus Robertson Sinclair, was detained, later tried, and eventually acquitted. 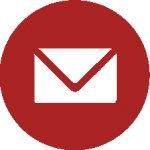 However, in 2012 the case was re-investigated following the introduction of the Double Jeopardy Act of 2011 and should he be retried, it would be a first in Scotland. Legal arguments began only two weeks ago on the 1st of October and a decision is expected in writing at a later date. A Movie By The Same Name? 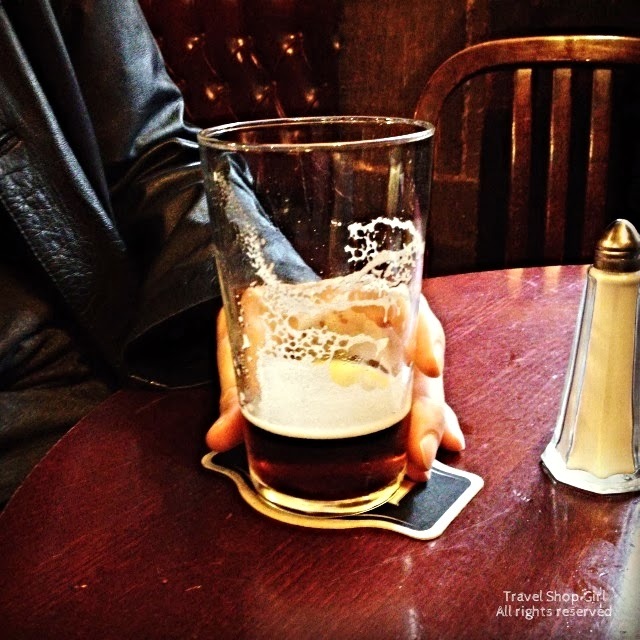 Today, tourists visit to grab a bite or to have pint after walking the Royal Mile or while on their adventures around Edinburgh. This is where I fess up and admit that we had recently seen a movie by the same name, The World’s End, with Simon Pegg and Nick Frost. When we saw the pub, Mr. TSG had to go inside. It was funny because although they had heard of the movie, no one had actually seen it. 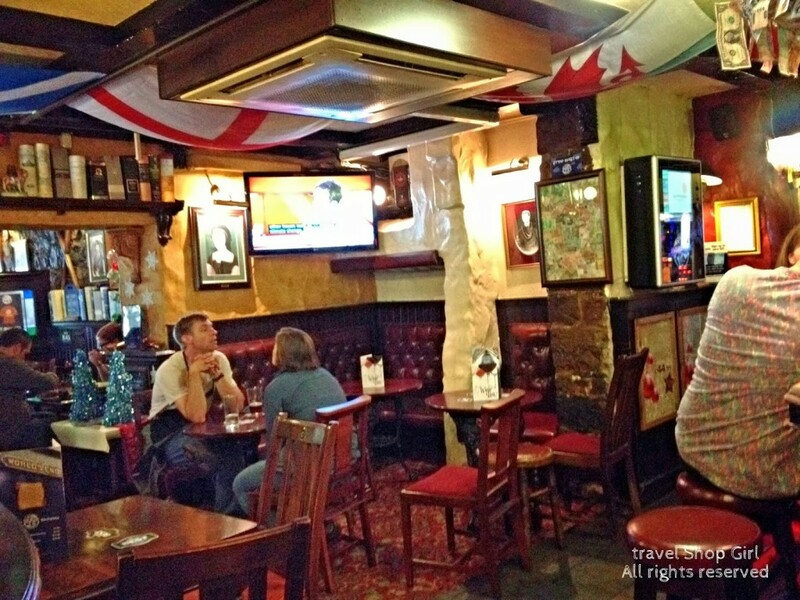 The cozy, intimate pub has two areas with one for sitting and eating and then the bar area. Walk in and choose a seat at the table or bar and look around. Part of the seating is built into the wall of the foundation and made of parts of the Flodden Wall. Enjoy a burger or how about Haggis, Neeps and Tatties? Vegetarian option also available so I give them a huge thumb’s up for that! Check out the rest of their menu here. Although it was terribly early in the day, you can’t stop into a pub and not have a drink. We were lucky that since we were beating most of the tourist crowd, we were one of only a few people so service was quick. 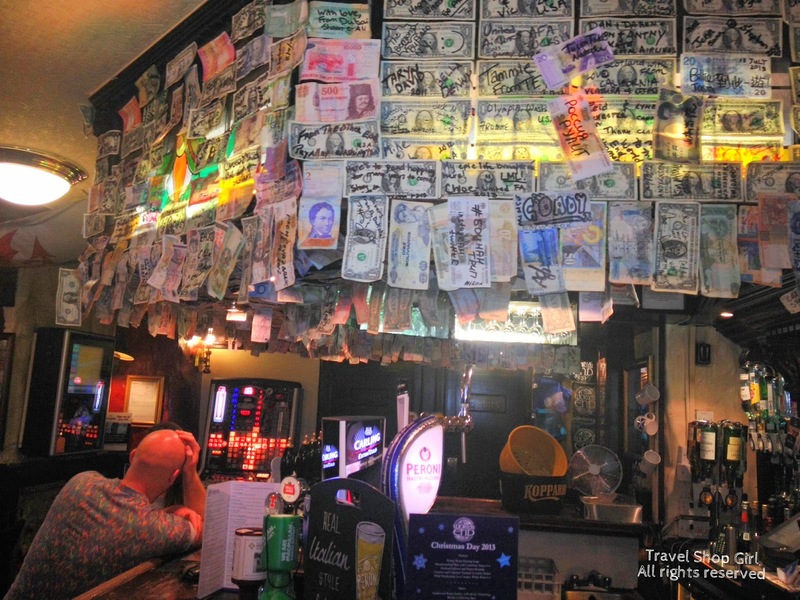 Visitors from around the world leave currency at the pub to be posted atop the bar. Of course, all of my dollar bills and recently used Icelandic Krona were sitting on a table at home. I went to snap a picture of Mr. TSG’s beer, but I spotted only a little near the bottom of his pint glass. I took that to mean that it was GOOD! Another confession: It was before noon, I was still needing a caffeine injection, so I ordered a cappuccino. Shame on me! Felt really weird to have a cappuccino in a pub, especially one made by a young American guy. 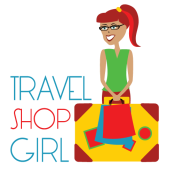 I downed my coffee, Mr. TSG grabbed a t-shirt before leaving, and we were ready to hit the road once again. 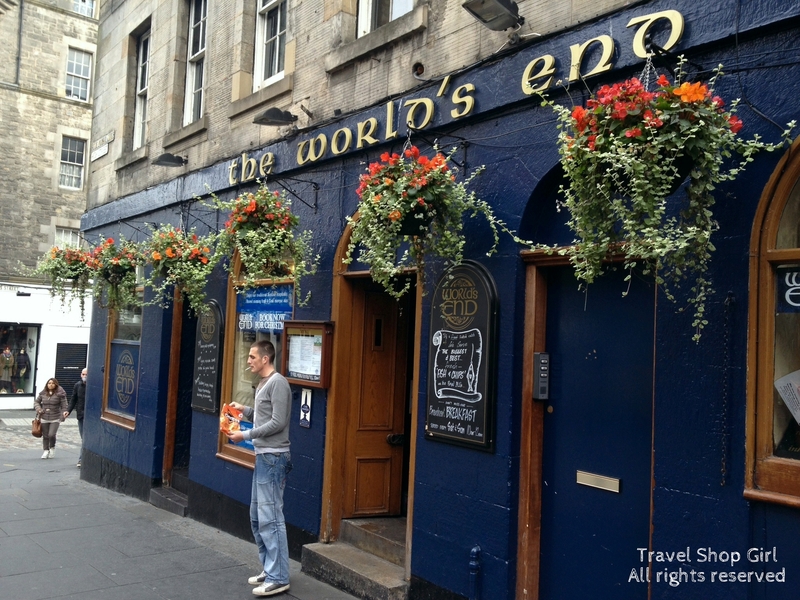 If you travel to Edinburgh and walk the Royal Mile, definitely visit The World’s End pub. 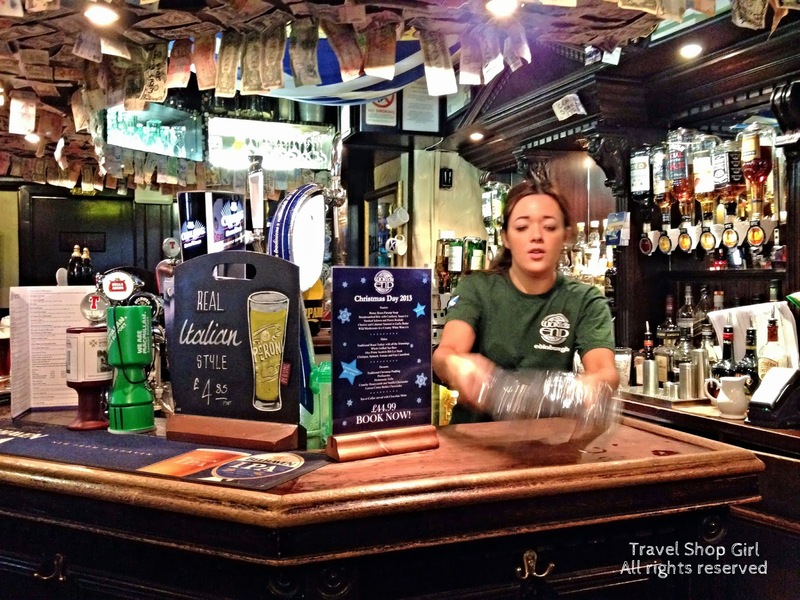 However, I highly recommend that you also try to find where the locals go to enjoy the feel of a little less touristy and maybe more authentic Scottish pub. How cool! Thanks for showing us some great photos of the pub! 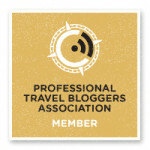 Thanks Charu! It was a fun place to stop in and visit. Did we JUST miss each other in Edinburgh?????? Interesting post, I like the content. Thank you for the informations.